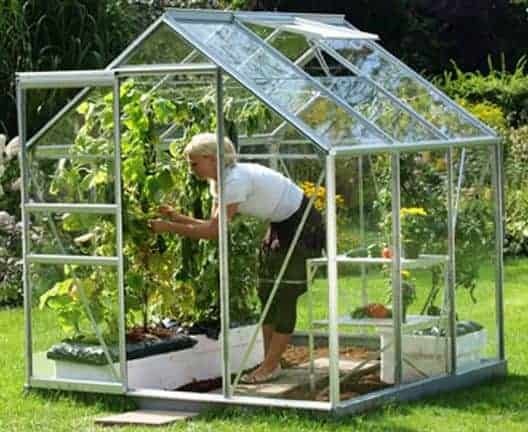 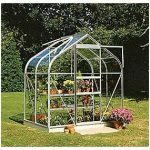 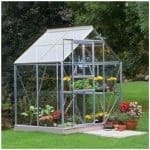 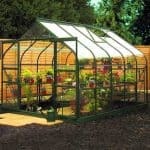 This 6 x 6 silver greenhouse has a wonderful apex roof that really helps to lift the appearance of the unit. 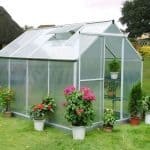 The looks are there, but also the usability too, because a feature like an apex roof allows for more head height, which is essential if you have large plants. 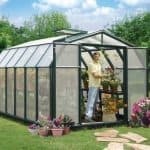 There is a 10-year warranty on the product so you have complete peace of mind. 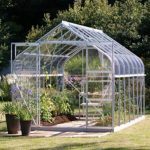 The spacious interior really makes for a great environment for planting, and an anodised frame means even more stability over the years ahead.